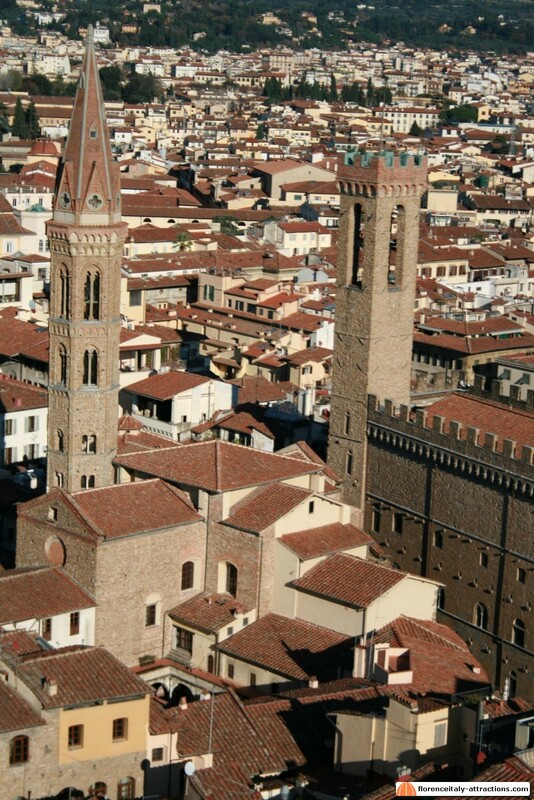 The Badia Fiorentina is one of the most ancient churches in Florence Italy. 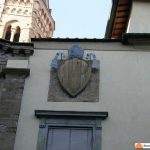 We have to go back to the Middle Ages, in a period when Tuscany is a Mark of the Holy Roman Empire, with capital city in Lucca. 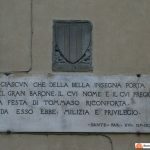 Marchioness Willa of Tuscany and her son Hugh (950?-1001) ruled the city, and Willa bought a property on the borderline of Florence, which already contained a small church. 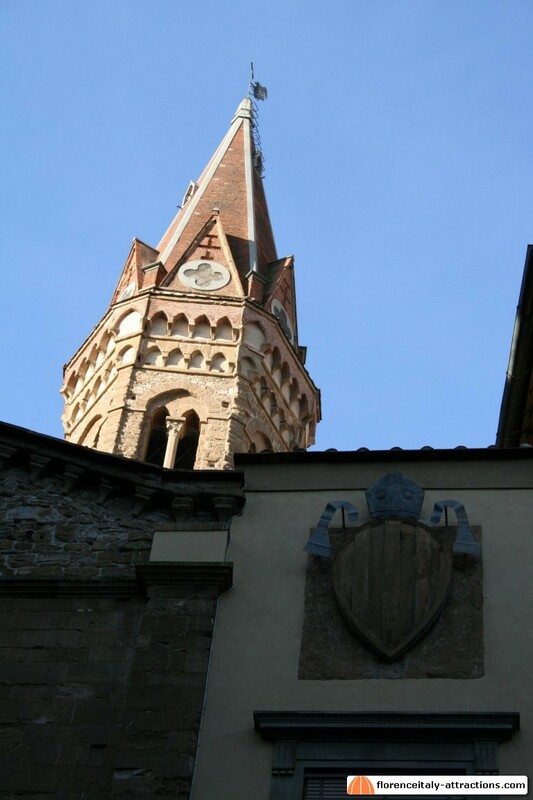 Here is where Willa and Hugh built the Badia Fiorentina, a Benedictine Abbey. Now, in general, abbeys are not in the city center, but in solitary places, maybe on top of a mountain. We can consider that around the year 1000 a. D. Florence was just a small village and the Badia Fiorentina was almost in the countryside. Even today, the monastery is accessible only to pray and attend the mass: tourists are allowed only on Monday afternoon. That’s why this place remains a hidden attraction in Florence. 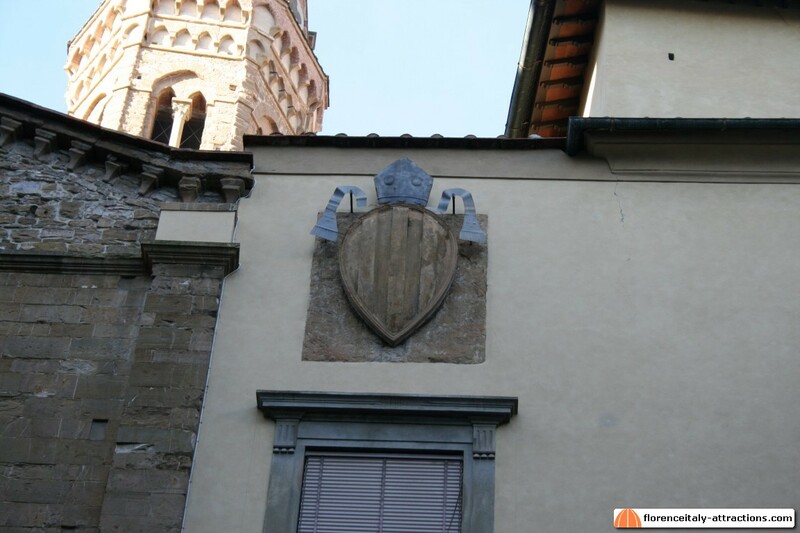 Margrave Hugh of Tuscany was very important for the city of Florence. 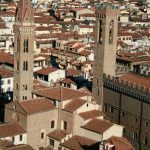 Together with her mother Willa, he decided to move his residence to Florence, even though the capital of the mark was Lucca. After his death, it was almost natural, for the next designated Margrave, to finally move the capital city of Tuscany to Florence. Of course, this had an impact on the fortunes of the city, which became more important in the 11th and 12th century, prologue to the dramatic expansion in the 13th century. The tomb of Hugh is inside the Badia Fiorentina, a beautiful work of art made by Mino da Fiesole 400 years after his death; every year, on December 21st (exactly tomorrow! ), a special celebration is made in the Badia Fiorentina, a mass in honor of Hugh (a 1000 years long tradition). 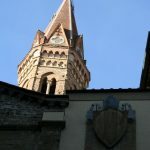 Dante Alighieri, the famous poet, lived very close to the Badia Fiorentina, even though this was not exactly his parish church. 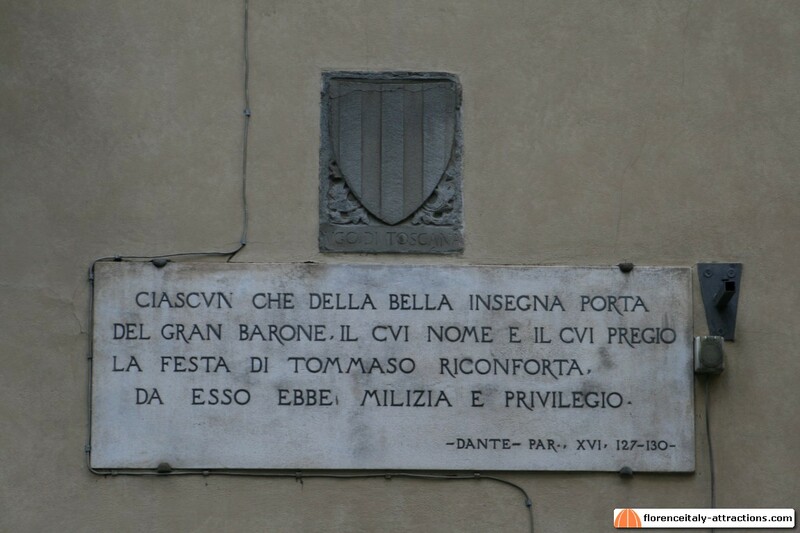 The Badia Fiorentina is mentioned in Dante’s Paradise because the Margrave Hugh was considered a sort of Saint in Florence and for Dante it was appropriate to think that his soul was is Paradise already. The lines of the Divine Comedy mentioning Hugh are printed in a marble plaque on the facade of the church (click picture on the left to enlarge). The prelude of the recent book of Dan Brown, Inferno, unfolds in the city center of Florence: a man chased at night crosses Ponte Vecchio, runs through the medieval streets of the ancient city, gets to the Badia Fiorentina, climbs the bell tower and jumps to avoid being captured. A big jump, you know: will be a great start for the upcoming movie by Ron Howard!